Remember what seems like a lifetime ago (1968 for me) when you first got your driver’s permit? I do. I was 15 years and 6 months old. I kept thinking, “Freedom at last!” Being a teenage driver marked a transition from being “just a kid” to doing something approaching adulthood. 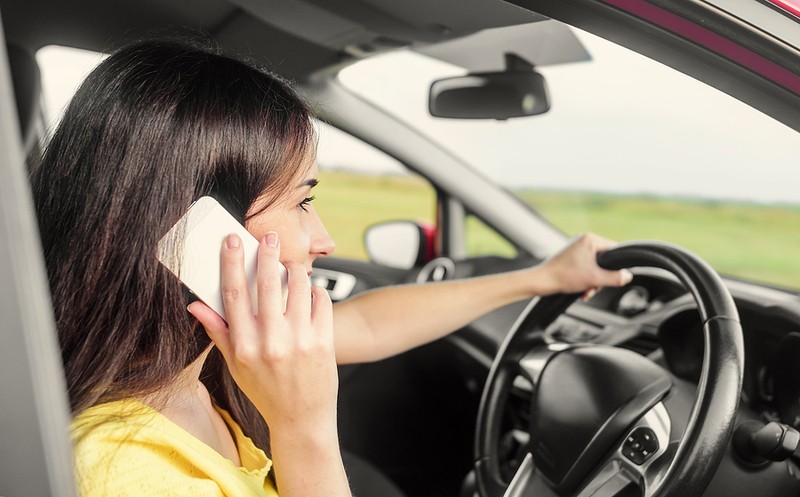 In Ohio, all drivers younger than 18 are prohibited from using any wireless communication device (except in emergency situations); texting and driving is prohibited for all drivers. Distracted drivers cause crashes that can injure or kill. Research shows that distracted teen drivers are more likely to be a traffic fatality than those focused strictly on driving. Combined with overall inexperience behind the wheel, what factors contribute most often to teenage driver fatal motor vehicle crashes? Distracted driving, speeding/reckless driving, and leaving seat belts off. What can Parents do to Help Teenagers be Safer Drivers? Parents are a vital key to helping teen drivers see focused driving as a priority. As parents, it’s important to recognize that our children learn what they live. That means they are always watching us and listening to what we say and do. If you are using your cell phone while driving but telling your children not to use cell phones while they drive, what kind of message are you sending to your kids? Safe driving apps work similarly to wearable fitness trackers that give accurate health information. The smartphone-based driver safety apps give drivers accurate driving behavior information. SafeDrive transforms the objective of safe driving into a game. You get rewarded when you avoid using the cell phone while driving. To play SafeDrive, open the app before you start driving and click “Play Now.” The program adds points to your score when you drive without touching your phone. Once you click the button to end your trip, all points are added to your overall score. You then reap the good driving behavior rewards by spending your points on discounted products. The free app also allows user to invite and compete against friends. Milez works similarly to SafeDrive. However, rather than incentivizing safe driving by getting discounts on goods, Milez incentivizes teens to drive safely by giving them an allowance. Teens download the app and invite family members to financially sponsor their safe driving habits. Minimum contributions start at $0.10 per every mile of safe driving. This means that driving safely for 50 miles gets the teen at least $5. Of course, higher contributions will net the teen even more money. Teen drivers can invite multiple family members for an even larger driving fund. Talk with your teenage driver about focusing on driving safely. Set aside time to teach your young driver about the real dangers of distracted driving. Be a model yourself for focused driving. Remember, safe driving is a conscious choice. Talking about safe driving does not end when your teen gets his or her license. Research studies show that the habits your new driver develops during his or her first few months sets the pattern for all future driving behavior. Practice safe driving yourself — silently, this shows your teenage driver that you walk your talk. They will respect you for doing what you tell them to do. Susan Fox is a mother of two boys and a holistic health palliative care coach. She teaches people how to use natural methods for effective stress management and chronic pain relief. For more information, visit www.palliativecarechoices.com or email [email protected].